FLIR Systems, Inc. announced that the latest Raymarine LightHouse OS now includes a graphical weather forecast (GRIB) viewer app, which enables boaters to access Theyr global weather data on-demand directly on Raymarine multifunction navigation displays. The LightHouse GRIB Viewer app utilizes Wi-Fi connectivity to download and display high-resolution Theyr weather forecast information on- screen. 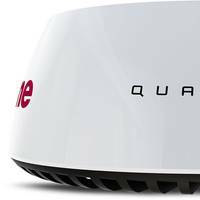 Raymarine users simply connect to a marina Wi-Fi, a mobile hotspot, or satellite internet to download the latest forecasts. 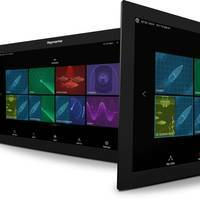 FLIR Systems, Inc. announced the release of the latest upgrade to its LightHouse II operating system for Raymarine multifunction displays (MFDs). 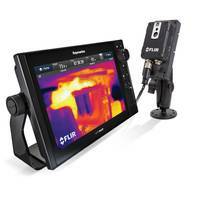 Available in the form of a free download on raymarine.com, LightHouse II Release 15 gives captains the ability to monitor engine rooms using the new FLIR AX8 marine thermal camera system, improves collision avoidance with new graphical representations of AIS targets and supports direct software updates over Wi-Fi to keep Raymarine users up-to-date with the latest technology. 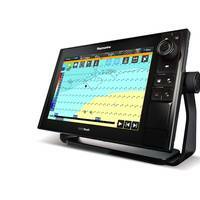 FLIR Systems, Inc. launched the Raymarine Ray70 Multifunction VHF Marine Radio and the LightHouse II Version 12 Software upgrade for Raymarine multifunction displays. 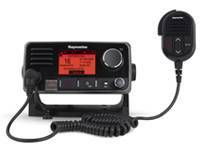 Raymarine’s new line of VHF radios are being showcased this week at the Fort Lauderdale International Boat Show 2014. 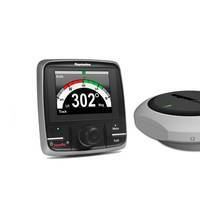 As Raymarine’s new flagship VHF, Ray70 streamlines multiple communication tools into a single device. The Ray70’s integral Automatic Identification System (AIS) receiver simplifies installation and delivers vessel traffic information to compatible navigation displays.